healing and balancing your body from within by using acupuncture, herbal medicine and other modalities. We customize the treatment to your individual needs to restore your natural healing process and wellness. We are currently an in-network provider for Blue Shield of California, OptumHealth, and UnitedHealthCare. We will verify your insurance coverage (both in- and out-of-network) for free. 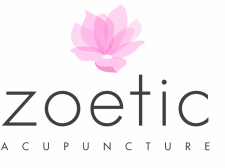 Please email us at info@zoeticacupuncture.com or call us at 415.580.0808 and allow 48 hours for verification.